Trust and betrayal on alien worlds. Cara Carlinni is on the run, maybe already half-mad or maybe, just maybe, closer to half-sane. Ben Benjamin might be her salvation or he might be leading her into even deeper trouble. What starts out as a search for survivors turns into a battle for survival. 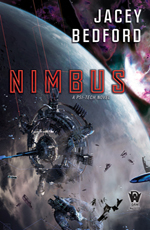 Space stations, corrupt corporations, telepathy, relationships, set in space. 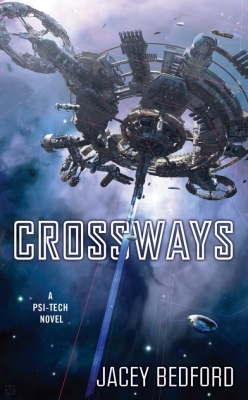 Crossways has barely survived a devastating attack. Time to set everything inorder, but the megacorps are still plotting and something is lurking in the cold depths of foldspace - something that could change everything. Cara and Ben's story is set in a future in which mankind has learned to travel through the Folds via jump gates. Commerce is king. Megacorporations such as Alphacorp and the Trust are more powerful than any one planetary government, even that of Earth, which is now ruled by the Five Power Alliance, led by South Africa. 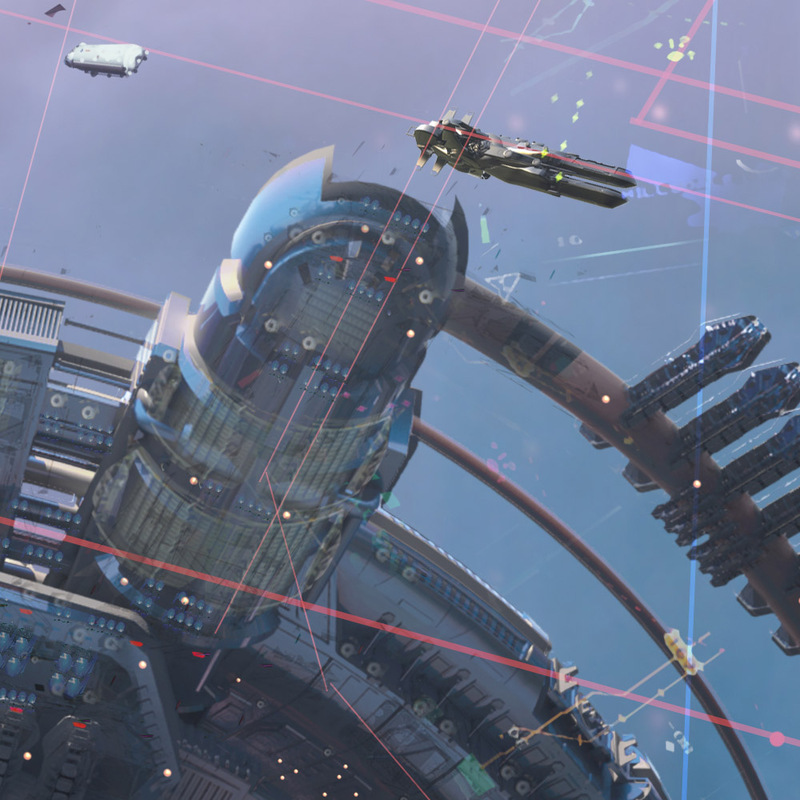 The megacorps race each other to gobble up resources across the galaxy, seeding and controlling colonies. So to keep the jump gates open and trade running the megacorps are constantly searching for more and more platinum. It's a cut-throat business, sometimes literally. A platinum find can make you rich beyond your wildest dreams - as long as you can stay alive to collect on it. How did the megacorporatoopns become so powerful in the first place? You only need to look at what's happening in the world now to see the seeds that might grow into something closely akin to the megacops in my books. There's an interesting blog article here about the changing rights of corporations in the USA. Extrapolate from there. The corporations who jumped on the space bandwagon early made enormous profits, firstly from research and then when colonies were established, from exploration and trade. 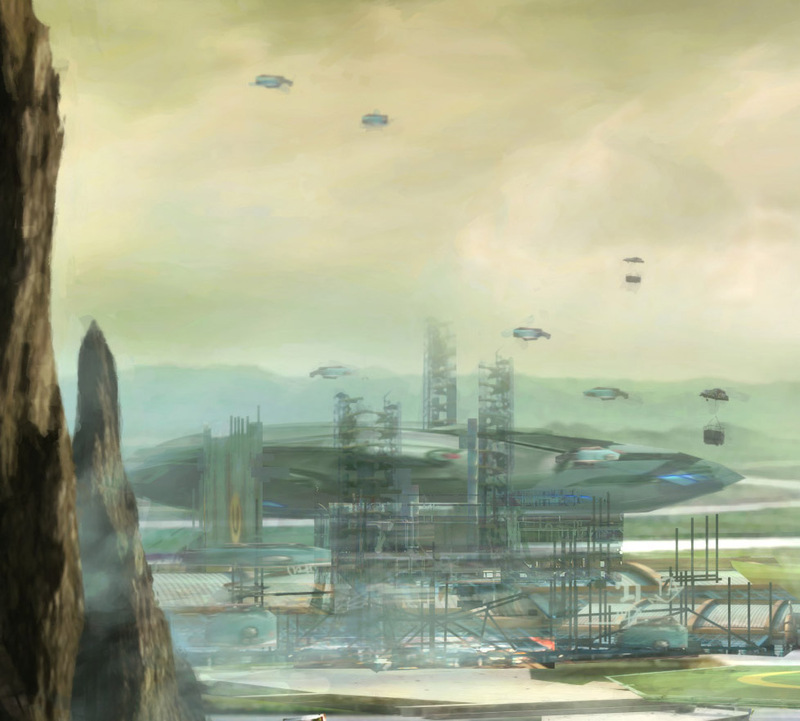 In 2210 the Tanaki Dominion Trust (later to be known simply as The Trust) financed the first out-of-system gate between Earth and Chenon (colonised by a slower-than light mission). They used Chenon as a staging post for gate expansion and colony exploration. There has always been intense rivalry between megacorporations, especially in terms of the number of colonies. Takeovers still abound and jockeying for position is rife. The Trust, Arquavisa, Alphacorp, Ramsay-Shorre, Eastin-Heigle, Rodontee, Sterritt etc. play dirty tricks and use whatever advantages they can to establish and keep their position. 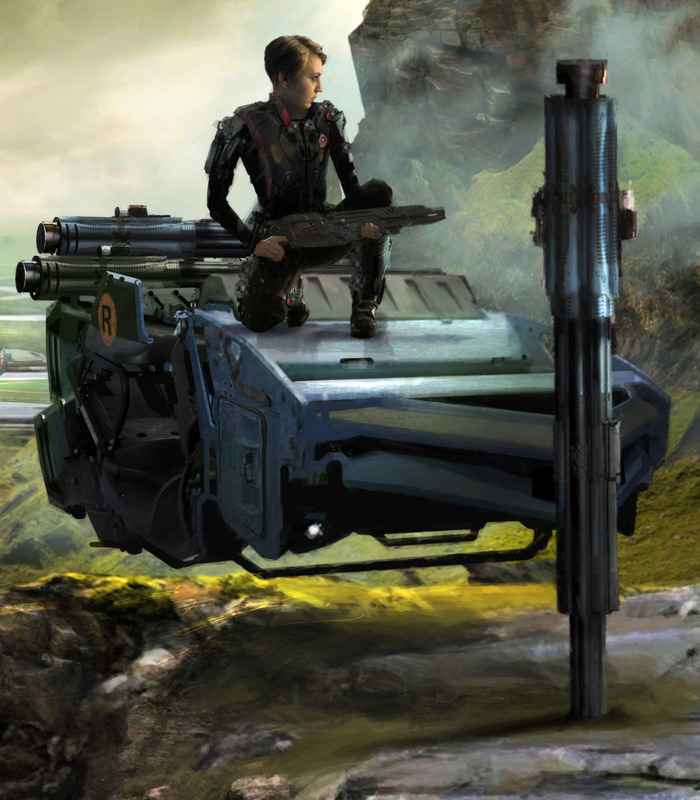 All megacorporations and aspiring corporations rely on psi-techs, not only in space, but on Earth and in the colonies as well. Each megacorp has its own training facility, though there are othetr schools run by the Five Power Alliance and the Monitors. Headquarters are just north of Durban in South Africa, one of the most prosperous nations on Earth with its virtual monopoly on Earth's remaining platinum resources. The Trust's board of directors is led by Chair and CEO John Hunt, but Victoria (Tori) Le Bon is a rising star. The sub-sections of the Trust are located off-planet, all in different, but well-established colonies. Colony Operations is located on Chenon. The Trust has an academy on Earth (Paris) but also has a good school on Chenon. It has a boarding school, Aurax, in New Tamanrasset, in the Saharan Rainforest, which is where gifted children can be trained (and get early implants) before moving on to the academy. Just a whisker behind the Trust in terms of wealth and influence (and always trying to catch up) Alphacorp runs all its operations from Earth (though they have offices on many colonies). Headquarters is based in Sandnomore in the Saharan Rainforest. CEO and chair of the Board is Akiko Yamada. Alphacorp's Special Ops unit is situated in York, England. When the incoming meteor broke up and simultaneously destroyed the southern USA and large parts of China/Australasia the breakdown of those countries (and many others that had not been directly struck due to the catastrophic rise in sea levels and dust in the atmosphere) in the resulting Meteorite Winter that lasted for decades a new power structure arose. The Five Power Alliance became a global government consisting of Europe, Africa, Soumerica (led by Brazil), Western Asia and Sino-Russia. Though the megacorps probably have an economy that outstrips that of Earth, mankind's mother planet is still the largest centre of human population in the galaxy. Even with platinum to keep the jump gates open, navigating the Folds is still a dangerous business. Ships enter but don't always leave again. 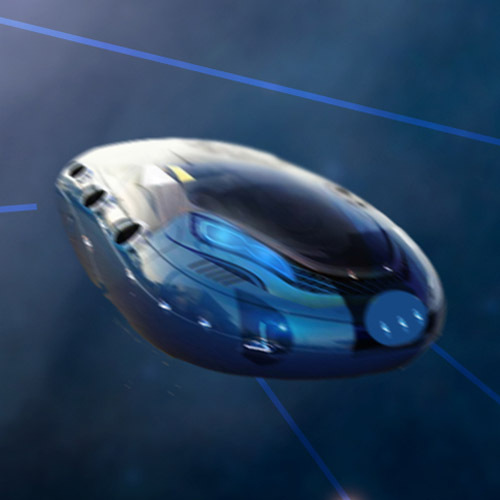 In the early days many ships were lost, but the potential rewards were too great to retreat into interstellar travel at slower-than-light speeds. There's no quick profit to be had from sending out a generation ship or an expedition that won't return until after you're dead. The breakthrough in jump-gate travel came when neuroscientists developed an implant to enhance psionic tendencies that had previously been unacknowledged or consigned to the realms of fringe science. People transiting foldspace often see things that aren't real - or aren't supposed to be real according to the training manuals. Hallucinations? Almost certainly - at least some of the time. However some Psi-tech Navigators see the same hallucination time and time again. Are Void Dragons only in the mind or is there something really out there? Initially researchers in China worked with individuals whose talent for Telepathy gave them instant communication between ship and home. Then they learned how to quantify a talent for Navigation bordering on the extraordinary, developing psi-Navigators with the ability to fly the Folds safely. An unexpected by-product of the programme delivered Empaths, Healers, Finders, Psi-mechanics who can interface and control bots, large and small and exozoologists, known in the trade as Dee'Ells (for Doctor Dolittles) who can influence and understand non-human creatures. Developing psi implants became a research priority. The corporations sank an enormous amount of effort into R&D. Rowan-Markesa's scientists led the field. During an attempted hostile takeover by Arquavisa the entire R&D department of Rowan-Markesa resigned and published their findings, making the technology available to all. This prevented any one company getting a complete stranglehold. The Monitors, planetary governments and the Five Power Alliance in Earth also implant and employ psi-techs. Even those with no psi aptitude can have an implant fitted, but it's expensive and allows only a basic facility to receive telepathic messages, not to instigate them without the mediation of a Telepath. It's possible for someone with a receiving implant to wear a damper to retain privacy, but because of the possibility of intellectual and industrial theft via an implant, the top executives tend not to have them and rely on personal telepaths to be at their beck and call for urgent communications. It's expensive to find, implant and train a psi-tech so their employers tie them into long term, contracts. They are well paid and well looked after, but always in hock to their megacorp. Any psi-tech who steps out of line is likely to be scheduled for Neural Readjustment. If that doesn't work, their implant can be removed or they can be scheduled for neural reconditioning, but with predictably messy results. So the psi-techs are bound to the mega-corps, that is, if they want to retain their sanity. Psi-techs can change companies as long as their new company buys out their contract. They can also buy out their own contracts, but this is so expensive that it's hardly ever achieved in practice as there's a cumulative amount for ongoing maintenance of the implant - insurance of sorts that of anything goes wrong the company will look after it (and them). When they retire (they can always be recalled to active duty if the need arises) the company provides a modest pension and somewhere to live. Formed in 2391, the Monitors are an interstellar policing force largely concerned with providing law in the space-lanes and for those newly established colonies that have not yet achieved critical mass in terms of their own law-keeping. They have massive ships that carry a self-contained circuit court. The circuit-court ships tour the subscribed colonies and independent settlements, generally dealing with the more serious crimes. Well-established colonies have their own police forces but the Monitors hold precedence over local law if necessary. In practice they prefer to work with local forces rather than ride roughshod over them, but there are times when they have to muscle in. Funded by levies from all the colonised worlds, Monitor effectiveness is limited by their ability to respond quickly to requests for intervention. They are one of the few organisations that keeps a modest fleet of jumpships for fast response. Most planets do not have capital punishment. Those that do are generally planets not signed up to the Monitor 'circuit courts' and the prison planet system, and are without resources to build their own prisons. The Monitors have access to designated prison planets, usually marginally survivable worlds. There's no rule on any prison planet except the rules the prisoners make for themselves, i.e. survival of the fittest. Prisoners are stripped of their handpads, dropped and left with only the clothes they stand up in. If they have a set-term sentence they must present themselves at the drop point on the day their sentence is up (presuming they can keep track of time without their handpads). They have only one opportunity to get off planet. If they miss their pickup they are stuck. Unsurprisingly only a small proportion of prisoners ever show up for pickup. Some prison planets are lawless hell-holes, others are not much different from independent colonies. Much depends on the prisoners themselves. Once a prison planet has a population of fifty thousand it's closed. If, fifty years later, if it has become 'civilised' it can apply to become a colony. The acceptance process takes long enough that by the time colony status is granted the original prisoners will all have died of old age, natural and unnatural causes, and the population will consist only of their children and grandchildren.